Richard Irwin (Belper, United Kingdom) on 5 July 2009 in Plant & Nature. Beautiful work! I feel a wind left to right folding. Another really beautiful poppy shot Richard. I love it when I see them in corn fields, or with daisies and cornflowers (sadly not so easy to find these days. 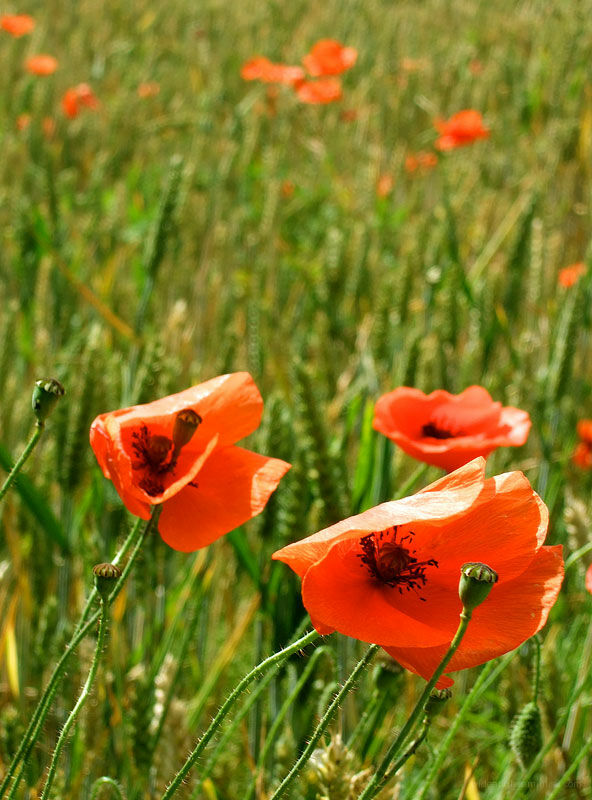 I did see a small group of poppies in a Rapeseed field, they looked glorious surrounded by the bright yellow flowers. Couldn't stop to get a photo though as it was on a fast road, with no layby near. You just can´t beat them,nice !! what amazing colors. Great details. Fantastic! !